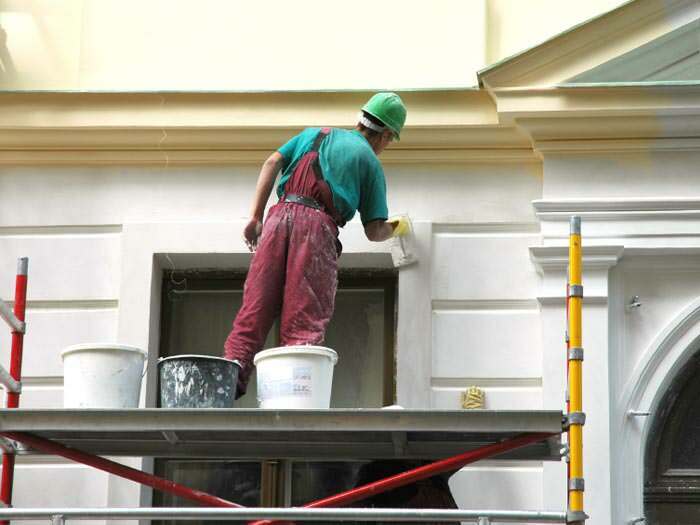 Exterior painting comes with a set of challenges that are unique to those of interior painting. How well your paint matches those needs will determine the appearance and value of your house, as well as how long it will take before repainting is necessary. 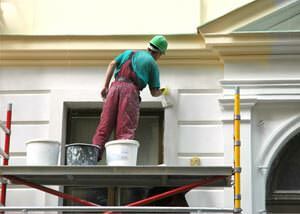 At CT Painters we specialize in exterior house painting of all types. We take pride on our reputation for great-looking results, fair prices, and customer satisfaction. 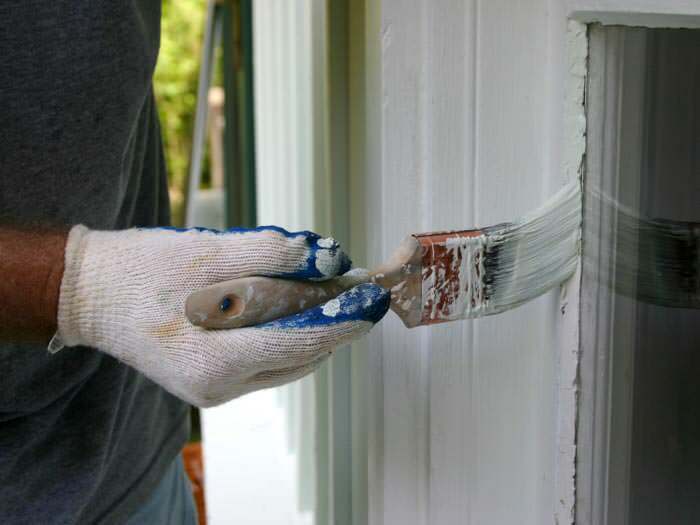 If you live in the Connecticut area and are interested in a no cost, no obligation, free exterior painting quote, contact the certified, highly trained painting contractors at our company today! Our experienced exterior painting professionals serve Fairfield, Milford, Stratford, Greenwich, Trumbull, Westport, Ridgefield, New Canaan, Darien, Southbury, North Haven, Guilford, and many surrounding areas. The decisions you make when painting your home's exterior will have long-lasting results. Choose poorly, and your paint job may begin to lose its luster in just five years. Choose wisely, and it could last for 15 years or more. How resistant will my paint job be to changes in moisture and temperature? Does my color match my landscaping, as well as the general scheme of my neighborhood? What type of paint will last the longest at the best possible price? Will my paint hold up to UV rays without fading? How will I prepare the wood/siding of my house to best accept the paint I'm applying? The exterior painting was done on this home by CT Painting. Painting the side of this house and garage in Trumbull, CT.
We painted this house to a different shade of blue for an updated and cleaner look in Stratford, CT. It costs you nothing to meet with one of our specialists for an on-site inspection, professional consultation, and written cost estimate. To schedule your free exterior house painting quote, contact us by phone or e-mail today! The backyard shot of this home we worked on. What Makes Great Exterior Paint? An ideal paint job should last for more than ten years, should resist damage and fading, and should be suited for the unique needs of your home. As environmental standards for paint production become stricter, the industry is rapidly evolving! The best way to determine which paints will work best for you is to consult with a professional exterior painter who is experienced and up-to-date with developments in the field. Paint Does Not Stop Mold: Contrary to popular myth, exterior paint and stains will not protect your home's wood structures from damage from moisture, mold, or rot in a meaningful way. In fact, in some cases, paint can even trap moisture and promote rot! Cheaper Is Not Better: Consumer Reports (June 2007) states that "economy-grade paint is a bad buy. Premium paints will generally weather better and won't need to be reapplied as often." Your Home's Location Matters: If your home is in a shady area, you will need paint that has additional resistance to mold and mildew growth. If it's located in a city or near an industrial area, your paint should be resistant to dirt and staining. Bigger Is More Cost Effective: A gallon of good paint may cost about $32. Buy a five-gallon container of the same paint, and you may only spend $11 per gallon. The Why: With a single coating of paint, the original color can show underneath. A second coat of paint ensures a great color, and can help you cover up imperfections and spots that were missed on the first pass. Additionally, Buildings Magazine reports that a second layer of paint can extend the life of a paint job by a factor of three. Where Makes Exterior Paint Great? Durability isn't everything! An exterior paint can have a high level of protective durability while still offering little decorative appeal over time. Most of the highest-rated paints for both the interior and exterior of your home have a high level of VOC's (Volatile Organic Compounds) in their design. While these toxic chemicals are unlikely to cause health issues when on the outside of your home, these emissions can contribute ton environmental damage. We Provide Exterior House Painting Services In Southern CT and Fairfield County! To meet with one of our specialists for a free written interior painting quote, contact us by phone or e-mail today! We'll inspect your home, answer any questions you have, and provide you with our pricing in written form. Our company's experienced contractors proudly serve throughout Milford, Stratford, Greenwich, Fairfield, Westport, Ridgefield, New Canaan, Trumbull, Darien, Southbury, North Haven, Guilford, and many surrounding areas.